This topic contains 0 replies, has 1 voice, and was last updated by choidivision 5 months, 2 weeks ago. 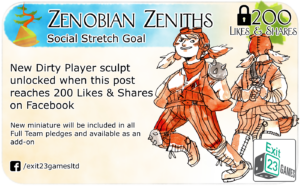 To celebrate hitting 70% funded we’ve added two new social stretch goals All you need to do is like and share these two posts. When each one reaches 200 likes and shares, it’ll unlock the miniature pictured!o fantasy football team Kickstarter campaign would be complete without a Kicker and a dirty player or always useful to have! The links are available on the campaign and below. We’ve received the first spins from the master mould and have given Griffin Moulds approval to start making the Production moulds. We’ve updated the Kickstarter campaign to include photos of these minis. B. has been busy working on more concept art and Tom has been sculpting away at the Star Players so we’ll have everything ready for at the end of the campaign along with some great extras. It’s difficult to convey the level of detail and character these minis have in just a few photos and digital renders so we’re working on some 360-degree photos so you’ll be able to view them from all angles. We’re hoping to have this available next week ans we’ll keep you posted! 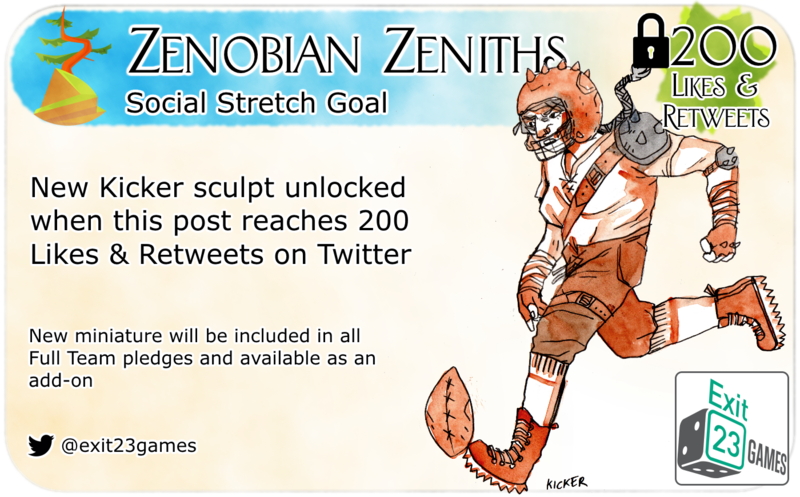 There’s still plenty of time to back the campaign and to unlock the stretch goals!